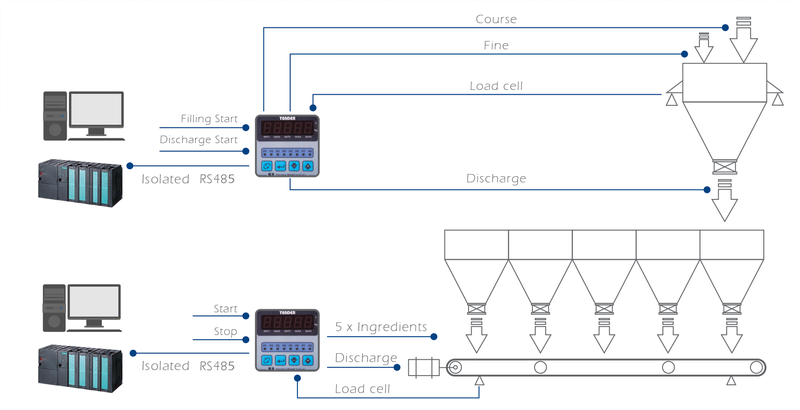 TENDER weight controller has been designed to control and indicate filling and batch dispensing processes. TENDER’s versatile structure and variant models make it an ideal and optimum cost solution for a broad variety of weighing applications. Benefiting from the highest interference resistance and long-term reliability, problem-free operation is guaranteed in the harshest environments. TENDER weight controller is also able to connect to central controller through de facto digital and analogue interfaces.